The first underwater photographs were taken in the waters of Dorset in the UK by William Thompson in 1856. The first underwater camera flood occurred on the same day. 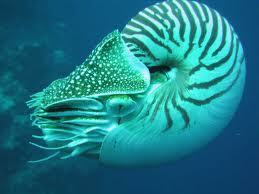 The images were taken on an early version of a pole cam, not while scuba diving. However, the individual who is normally credited with the first underwater image is Louis Boutan of France. 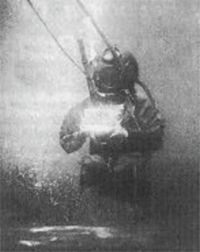 Boutan’s famous image of a hard hat diver was the first underwater photo ever published. John Ernst Williamson filmed the first ever underwater film in 1914 in an early version of a submersible. In 1927 ichthyologist Dr. William Longly and National Geographic Charles Martin published the first color underwater photos. Pioneering underwater photographers had to develop their own equipment in order to capture the world underwater, or to improve upon the technology that existed at the time. Among these pioneers, Bruce Mozert developed still and video housings and underwater flash systems for his commercial work in the 1930’s. Hans Haas developed the popular Rolleimarin in 1943. In 1957 Jacques-Yves Cousteau conceived the Calypso camera, which was ultimately designed by Jean de Wouters and in 1961 was being marketed to scuba divers and scientists. In 1963 the Calypso design was sold to Nikon who renamed it the Nikonos, which went on to become the number one selling underwater camera of the 20th century. Subsequent Nikonos models were released until 1992. Nikons II (1968), Nikons III (1975), Nikons IV (1980), Nikons V (1984), Nikonos RS (1992). The Nikonos RS was a unique amphibious single lens reflex camera and was renowned for its impeccable image quality. It was also very expensive and was known to flood often. Like the traditional photography market, digital photography has displaced the entire film camera market for underwater photography.